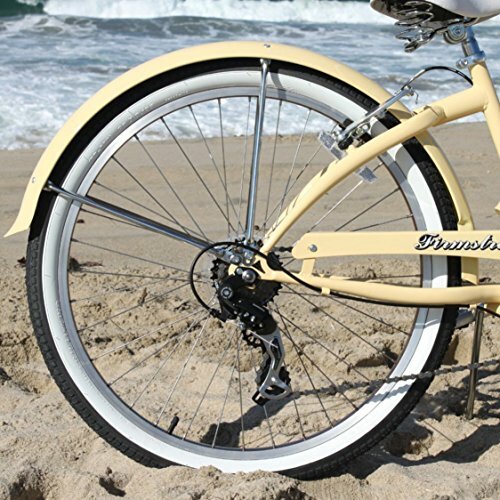 Offering the same smooth riding components as the rest of its cruiser bikes, the Firmstrong 26-inch Bella Fashionista seven-speed cruiser features an elegantly sleek and artful design that's highlighted by the uniquely shaped thick top tube, front and rear fenders, and painted rims. 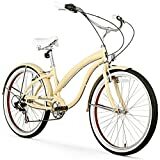 The 17-inch extended length steel frame that is sized for most women from 5 to 6 feet tall is perfect for long rides and climbing hills. The Bella Fashionista uses a top-of-the-line Shimano shifting system that enables you to enjoy more high intensity riding and to go farther distances than ever imagined possible on a cruiser. It also features both front and rear handbrakes operated via levers on the handlebars, allowing for fast braking down hills or at high speeds. 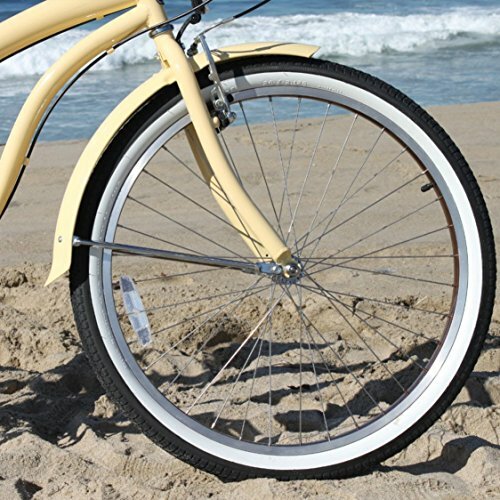 The aluminum wheels feature 2.125-inch wide white-wall tires that roll smooth and easy as well as cushion the bumps as you ride over them freely. The wide, oversized seat completes your comfort with dual springs that help make the ride soft and cushy. 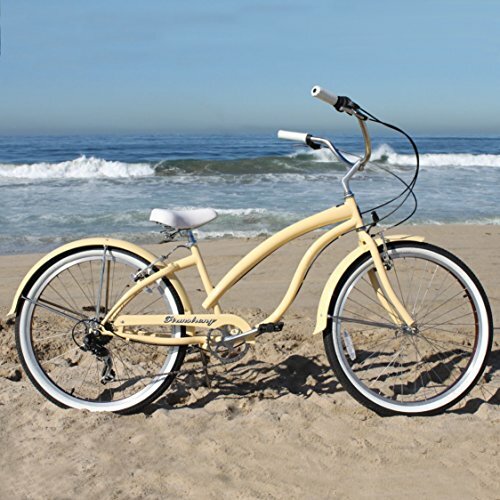 Other features include wide cruiser bike handlebars with synthetic leather grips, waffle tread tires, a guard to protect pant cuffs from getting caught in the chain, and a 350-pound maximum weight capacity. The bike is shipped 80 percent assembled. 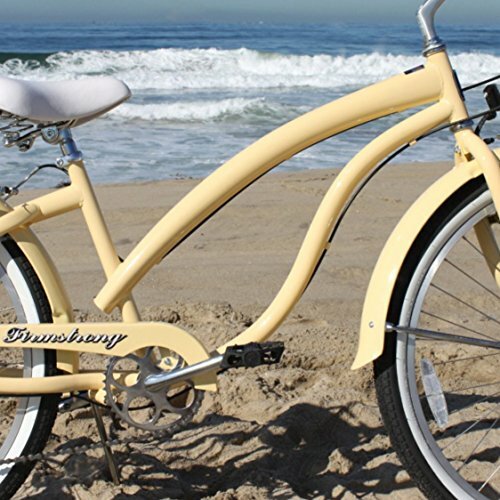 Firmstrong has been designing high quality, affordable bikes for over 10 years with a focus on blending style and functionality to create a fun, adventurous experience for riders -- not just a mode of transportation.